Anyway, I'm ready to add another pair to the collection. 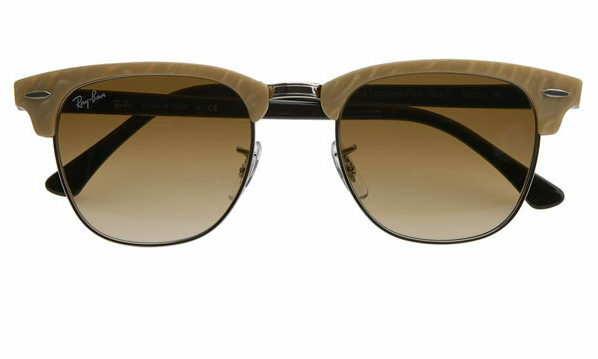 I've been eyeing (ha ha, ok enough with the eye/sight/glasses puns) these Club Master Wayfarers for a few months. I think they'd be a darling addition to our little Ray Ban family. I'm between black (not pictured...sorry, got lazy) and beige, but steering towards beige. What do you think? This was taken shortly after it happened. A matter of minutes until I was back to my normal self and couldn't let this photo op pass. Too perfect.